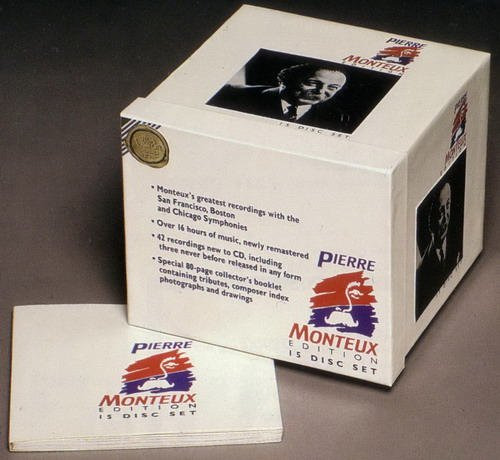 The Pierre Monteux Edition contains one previously unissued recording, Strauss' Ein Heldenleben, recorded on 20 Dec., 1947 with the San Francisco Symphony....The Pierre Monteux Edition is a required purchase for every admirer of this conductor's art." "This is one of the most extensive, best-deserved tributes to any conductor ever published. 'Papa' Monteux was a genial man and a brilliant musician who could give great performances of an amazing variety of music and get the best out of an orchestra. Of course, his famous Franck Symphony with the Chicago Symphony Orchestra is included, and it's still as magnificent as ever. 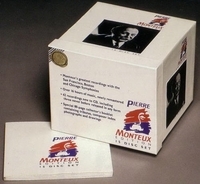 But the set also includes many little-known recordings from Monteux's tenure with the San Francisco Symphony, and a few with the Boston Symphony, all filled with musical revelations. There are endless hours (over 16) of musical delight on these 15 CDs, and they come with very good documentation."